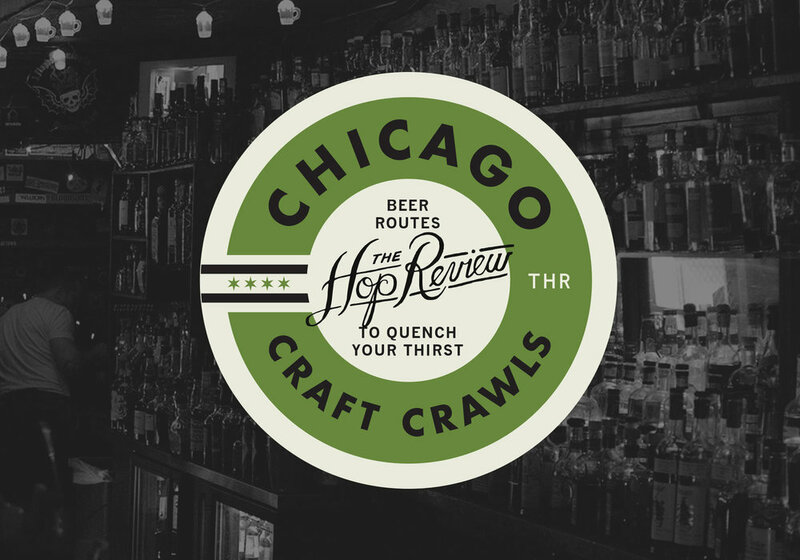 Let's be honest, on the list of Chicago craft beer 'hoods, the Loop has never been near the top. Most Chicagoans working downtown have their go-to spot... a place not too far from the office that's good for a drink or two, before it's time to hop on the train and head for greener pastures. Those who venture downtown after hours or on weekends know that, compared to the hustle and bustle of the weekday rush, the Loop is a quiet, subdued neighborhood after the nine-to-fivers head home. We're here to tell you that there are plenty of reasons to stay for more than a single can of Schlitz. If you're willing to branch out from your usual haunt, there's craft beer to be found and some awesome bars to drink it in. Here's a list of our favourite Loop craft beer spots and places you're likely to see us working off the daily grind. Monk's is a craft anchor in the northwest Loop. Monk's has long been our go-to for great beer in the Loop and it should be your first stop on this CCC. The impressive draft menu and massive bottle list has a Belgian lean though there's more than enough of the other stuff to keep any beer geek happy. You'll definitely want to get there early as Monk's is packed before 5 o'clock most days. The atmosphere is completely unique as blue collar construction workers shoulder up to suit and tie'd lawyers from the nearby financial district. To top it all off, the bartenders know their beers and are always willing to let you sample before making your pick. Relative newbie Randolph Tavern has a small but respectable beer list. Just down the street is a relative newbie to the Loop scene, Randolph Tavern. This place is your quintessential after work joint. It's a handsome looking place that's loud, packed, and absolutely cavernous. The bar staff is usually far too busy running up and down one of the longest bars we've seen to pay too much attention to your beer drinking needs. However, the short but impressive beer list is worth stopping in for a drink on your way around the Loop. We discovered several breweries new to the area that we hadn't seen elsewhere... just don't expect the staff to have time for many recommendations. Stocks & Blondes is your classic dive with an incredible draft list. Sitting directly below the Washington & Wells L station, Stocks & Blondes was arguably the biggest surprise of this CCC. This place is your typical Chicago dive... and that's a great thing. It's small, adorned with macro beer signage on the outside, and you'll want to spend as little amount of time in the bathroom as possible. What really caught us off guard was the incredible draft list, offering more than 30 beers both local and national. Prices are reasonable, the staff is friendly, and it will be tough to convince yourself it's time to leave. All qualities that make this a star in our Loop CCC. As you already know (see Stocks & Blondes), we're big fans of the neighborhood bar. Unless you know where to look, these aren't easy to come by in the Loop, especially if a good beer is on your mind. The Bar Below meets all our expectations with a laid-back atmosphere and a solid craft beer list to boot. Take a break from the bar stool at this stop and snag a spot next to the fire on the couch. If you're still going strong, grab a friend for a game of pool after you order a brew from their impressive bottle list. One of Chicago's oldest beer brands is alive and well at The Berghoff. Pulling up a stool at The Berghoff is like stepping back in time. For more than a century, this place has been serving up German themed food and drink to the city of Chicago. There's nothing old fashioned about the beer on tap, however. This is the place to go to sample one of the city's oldest beer brands; the recently revived Berghoff Beer, the only beer on tap at the restaurant. While technically independent of each other, there's something to be said for sitting at the one hundred year old Berghoff bar with a flight of Berghoff beer. Miller's Pub is a great place to grab a bite to eat and a great beer. 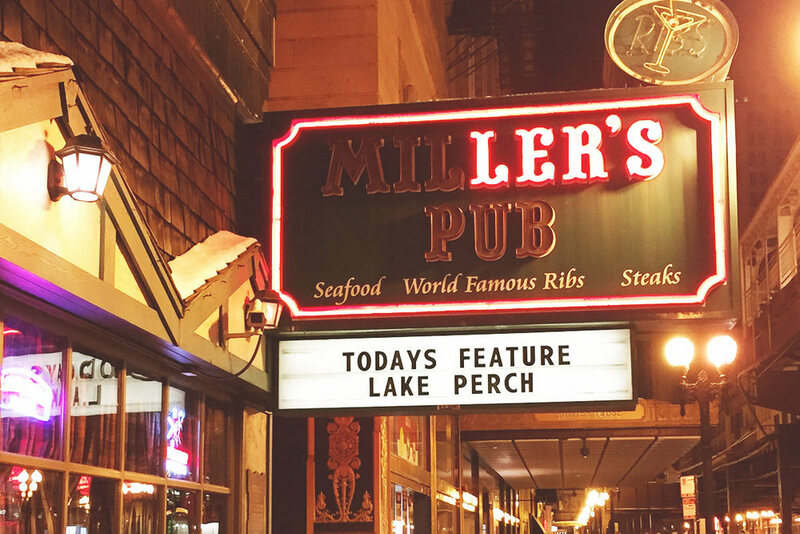 Speaking of old school bars and jaunts through Chicago history, Miller's Pub certainly fits the bill. The place is largely composed of booths but we'd recommend you scope out one of the seats at the low-lit bar. The chalk written beer list above the bar is impressive and the bartenders, though often pretty surly, are always willing to pour you a sample or two. Keep an eye out for their beer special on a small board above the bar as they usually have something worth getting at a reasonable price. If good looking bars are your thing, The Gage is the place to be. Perched right on Michigan Ave and across the street from bustling Millennium Park, it would be easy for this place to succeed with only a tourist-friendly ambiance. Fortunately that isn't the case here, as The Gage manages to balance unpretentious class against a laid-back feel. The food is great and the beer list is locally themed and constantly changing. For future reference, stay on the look out for beer themed dinners at The Gage as they've had some impressive events in the past.